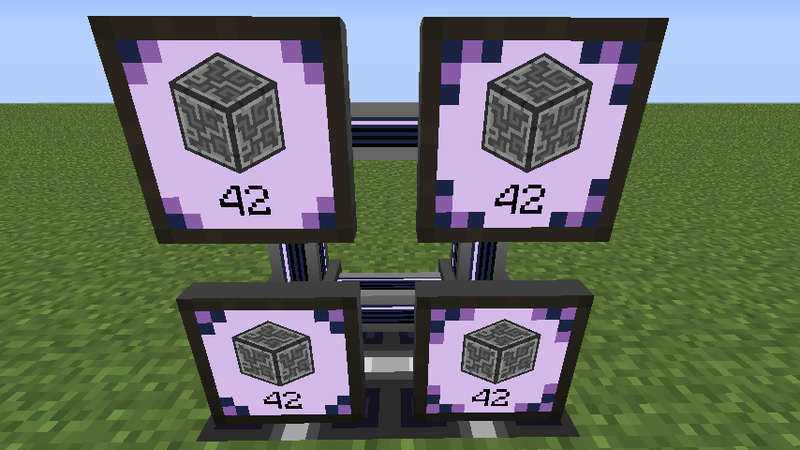 AE2 rv3 is a QoL version, where we try to improve the usage of Applied Energistics 2 for the end-user. The creator of Open Computers added a P2P Tunnel to tunnel your OC cables. ME Storage Monitor and ME Conversion Monitor are now having an visual indicator to show when they are locked. This also contains some slight improvments in their rendering performance. Left ones are unlocked, right ones are locked. 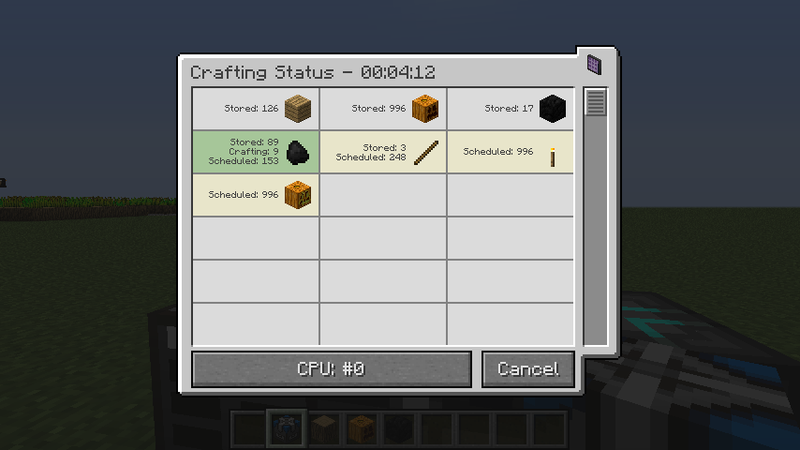 Both the GUI of a Crafting CPU and ME Terminal are now displaying a estimated time for the completion of a job. The ME Annihilation Plane now features an upgraded version named Identity Annihilation Plane which provides a silk touch functionality. The custom recipes of AE is now automatically exporting the recipes from the .jar file into the config folder for easier changing. The original recipes are exported into generated-recipes and will be overwritten with each start. To use our own recipes copy them into the user-recipes folder and modify them to your needs. 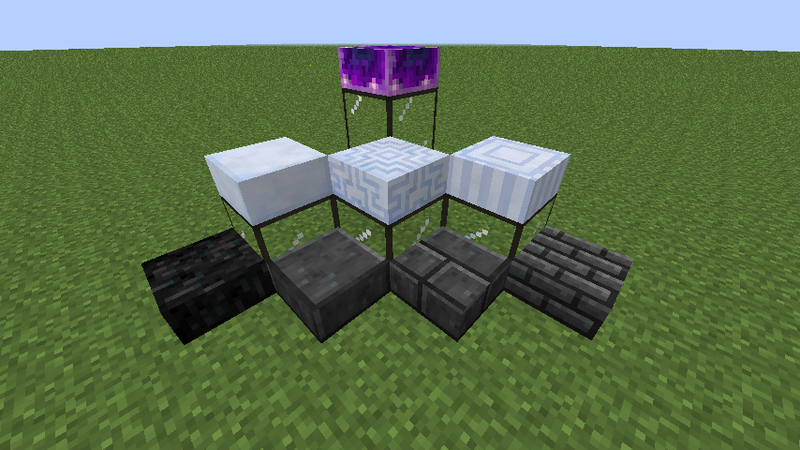 It will also export the ore dictonary mappings into their own file for easy modifcations. Thermal Dynamics ducts can now be used to attune P2P tunnels to RF, fluid or similar matching their own behaviour. Additionally to the stairs introduced with rv2, all decorative blocks are now also available as slabs. The craftguide integration now supports Grind and Inscriber recipes as well as having a general improvement of the performance for creating the entries. 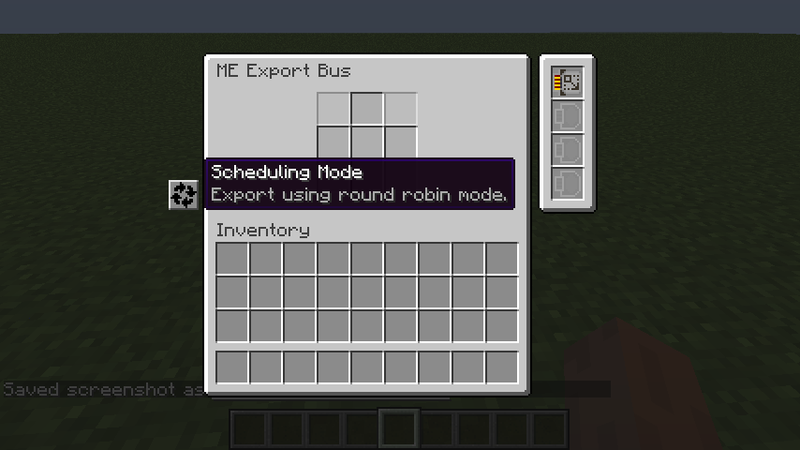 The ME Export Bus in addition to completely export an item from a network before moving to the next one, it is now able to export the items in a round robin or random mode. Both additional modes are available with at least 1 Capacity Card inserted into it. Acceleration Card will still affect the exported amount per operation before moving to the next slot. ME Interface and ME Conversion Monitor are now more consistent with all other machines and feature 9 slots instead of the odd 8. ME Interface Terminal and ME Interface now feature a option to enable or disable the ore dictionary to substitute any encoded recipe. The mode is displayed in the tooltip and can even be used to search inside an ME Interface Terminal. Existing patterns will have this option disabled. This can be easily changed by placing them into a pattern terminal and encode it again after toggling the option. 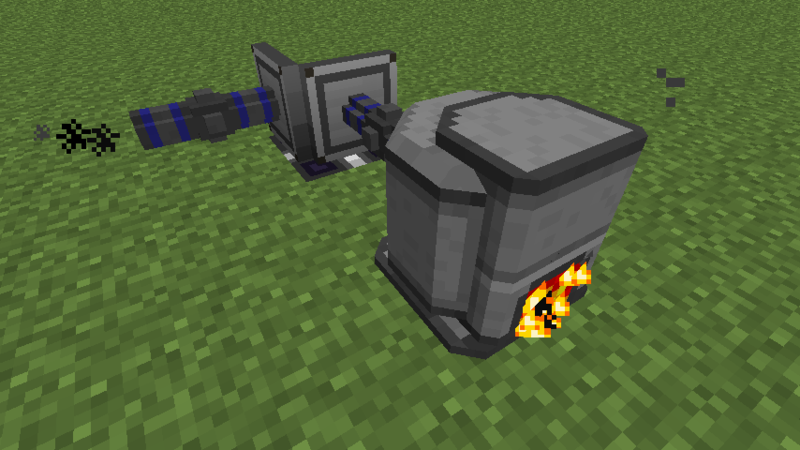 P2P tunnels to transfer PneumaticCraft pressure are added, supporting up to 20 bar. 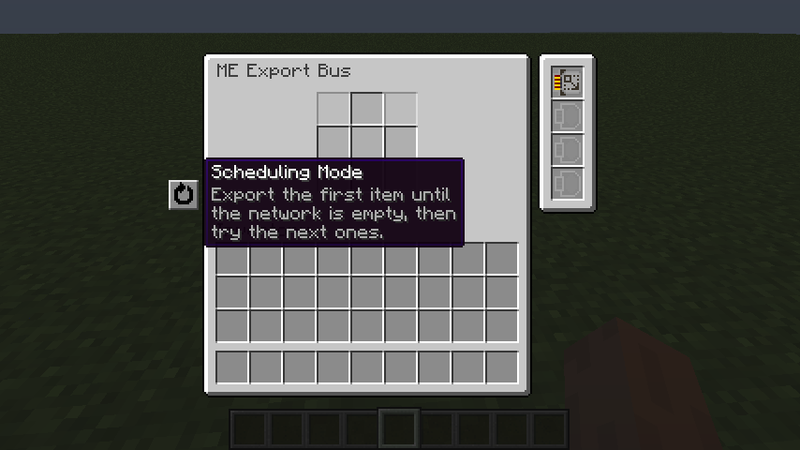 Also try out the AE2 integration with logistic frames provided by PneumaticCraft itself. 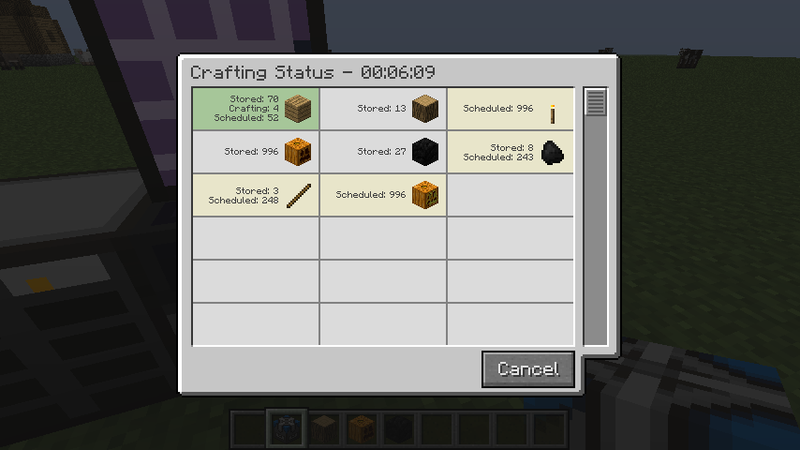 The AE2 recipe system can export all available items and blocks registered within minecraft during the startup. These can for example be used to adapt the default recipes to your need. The custom recipes were reorganized in a more reasonable way. This includes splitting it up into smaller files and placing them into folders matching their feature types. This can break custom made recipes, when the current ones are only extracted partly from the jar. When fully extracted, this will not be an issue. Many changes were made to improve the overall code quality for the developer and user, including many typographical and grammatical errors. Credits to thatsIch, yueh and more. We rely on external contributions for localizations. If you do not see your language here, feel free to improve it by submitting your changes to us. [GH-1036] yueh: No longer invalidate the cache of MEMonitorIInventory on simulate. 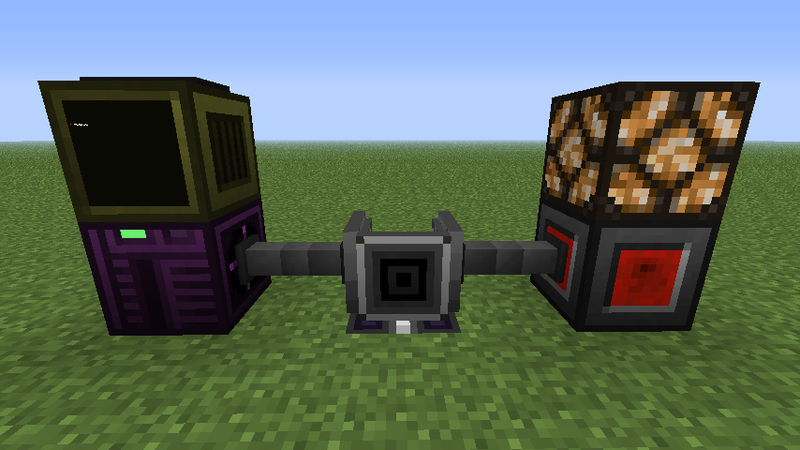 [GH-1384] jeremiahwinsley: Implement AdvancedShaftPowerReceiver for RotaryCraft powersink. [GH-1656] yueh: Reduces the amount of block updates a controller sends. [GH-1673] yueh: Removed overly defensive code and ensure GL state to be restored. [GH-2087] fnuecke: OpenComputers Tunnels not correctly disconnecting the OC network. [GH-2091] Adaptivity: Recipes update to use OreDictionary entries whereeever possible. Deprecated features are scheduled for removal in RV4 Stable. Use ILocatableRegistry.getLocatableBy( long ) instead. It will returrn an ILocatable. The corresponding code for developers can be found here. In earlier versions, mods like MineTweaker had to hack into our code, to retrieve the data for inscribers, to modify the recipes or inject new recipes. You may need to update mods like MineTweaker. rv3 will contain a breaking bugfix regarding the recipes of Fluix Seed and Nether Quartz Seed. This will result in existing patterns for these items maybe becoming invalid and need to be updated by placing them into a pattern terminal and encode it again. 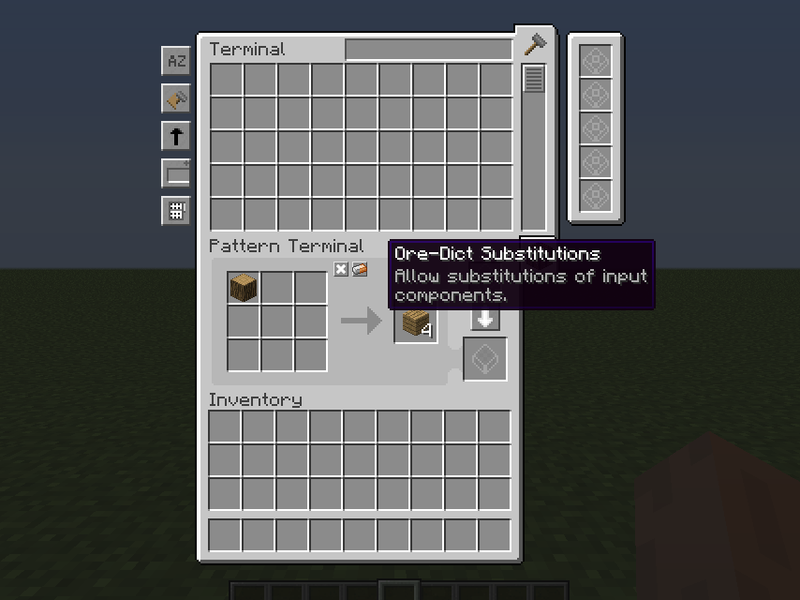 rv3 will contain a breaking feature regarding patterns and allowing them to toggle the use of the ore dictionary. 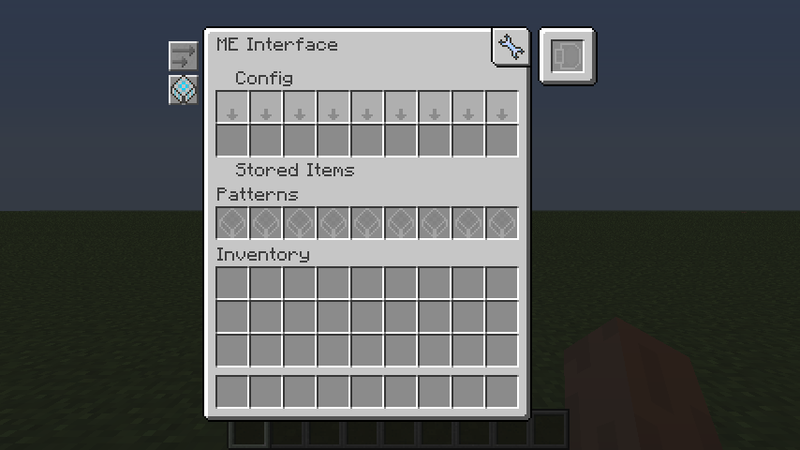 This will result in existing patterns having this option disabled and will not use ore dictionary to substitute any input material. rv3 will contain a breaking feature regarding the structure of its recipe files and how these are organized. They will now be located in a new directory within the config folder and are automatically extracted upon first launching it or enabling the config option to refresh. If you made changes to the recipes, simply copy any old file into the new directory. Partly extracted recipe files might not be correctly imported due to the default files being restructured. In this case it is recommended to simply extract any missing file from a rv2 .jar and add it to your recipes. All known issues are listed on the tracker marked with type-bug in our issue-tracker.